The café is open seven days a week, and serves a range of hot and cold drinks and snacks, presented by our professional Barista with specialist coffee supplied by ‘Illy coffee’ (Cappuccino, Espresso, Latte, Mocha, Americano), Slush Puppie drinks, toasted panini’s, fruit pots, wraps, sandwiches and much more. There is a suitable seating area just by the reception where you can chill while waiting for your friends or family enjoying a deliciously made fresh coffee of your choice. Come visit us and see for yourself. 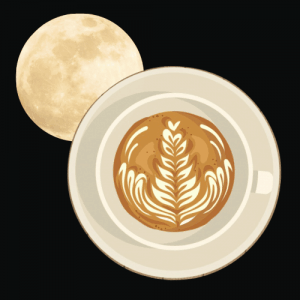 Moon Coffee Co. is open seven days a week at Birchwood Leisure Centre.